LAVAL, QC, Oct. 28, 2015 /CNW Telbec/ - Sanofi-aventis Canada Inc. (Sanofi Canada) is recalling all Allerject® (epinephrine injection, USP). The voluntary recall involves all Allerject currently on the market and includes both the 0.15 mg/ 0.15 mL and 0.3 mg/0.3 mL strengths for hospitals, retailers and consumers. The products have been found to potentially have inaccurate dosage delivery. Allerject is for immediate self (or caregiver) administration and does not take the place of emergency medical care. Seek immediate medical treatment after use. 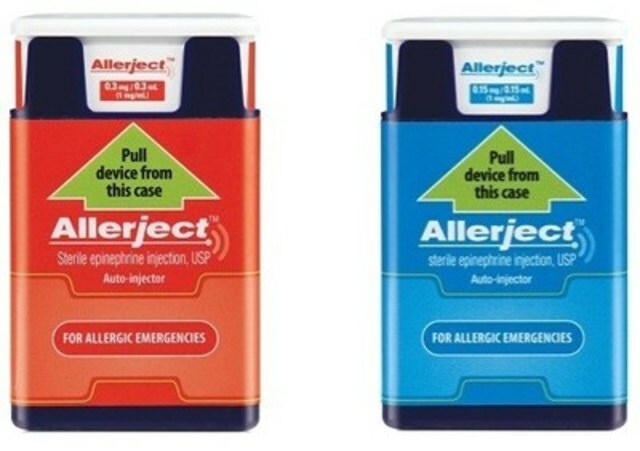 Each Allerject contains a single dose of epinephrine. Allerject should only be injected into your outer thigh. DO NOT INJECT INTO BUTTOCK OR INTRAVENOUSLY. If you accidentally inject Allerject into any other part of your body, seek immediate medical treatment. Epinephrine should be used with caution if you have heart disease or are taking certain medicines that can cause heart-related (cardiac) symptoms. In Canada, please call 1-866-234-2345 or visit http://www.hc-sc.gc.ca/dhp-mps/medeff/report-declaration/index-eng.php. Please click here (Canada) for Full Prescribing Information.